Photo 029. Signals to Bismarck. Signals to Bismarck. 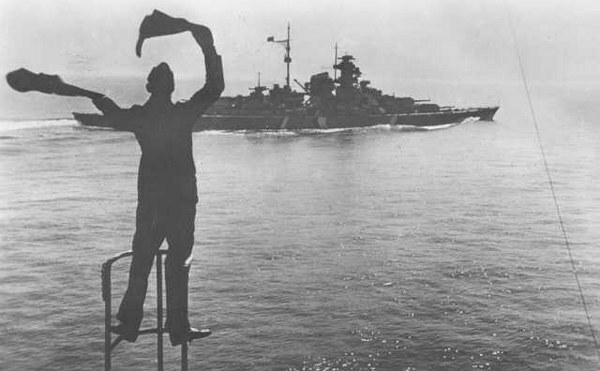 A crewman from Prinz Eugen signals to Bismarck. This photo was taken some time in May 1941 prior to Rheinübung.